Happy 4th of July Kids! 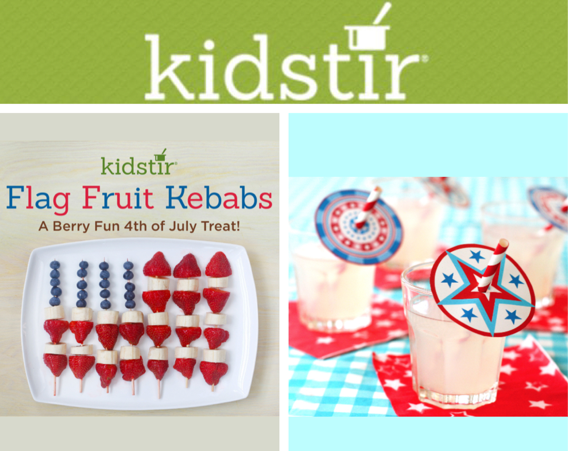 For a quick & healthy 4th of July treat, try these berry fun fruit kebabs. Start with fresh, seasonal berries. Serve them for breakfast on America’s birthday—or as a post-parade snack. Happy 4th! Wash and cut about 20 strawberries and line them up on skewer sticks to form the stripes by alternating with banana slices. Form the stars by stacking about 20 blueberries on the top of four wooden skewers to form the corner of the flag (see image above). 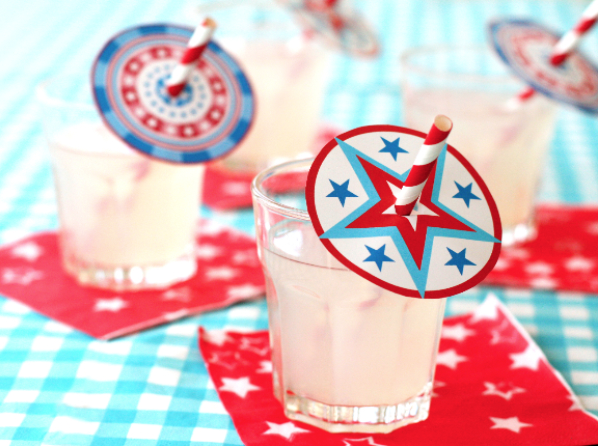 Make your 4th of July bbq festive with our bright and colorful party straw templates. We’ve got fun stars & stripes and fruity graphics, too. Just print, cut, slip on straws, and say cheers! At your summer barbecue or 4th of July party, serve your drinks with fun straws. Here are the simple steps to create fun party straws from our illustrated printable template. Cut out the circles, fold these circles in half and cut a slit. Then fold the other direction and cut a second slit along the cut lines and then simply slide each circle into a straw. 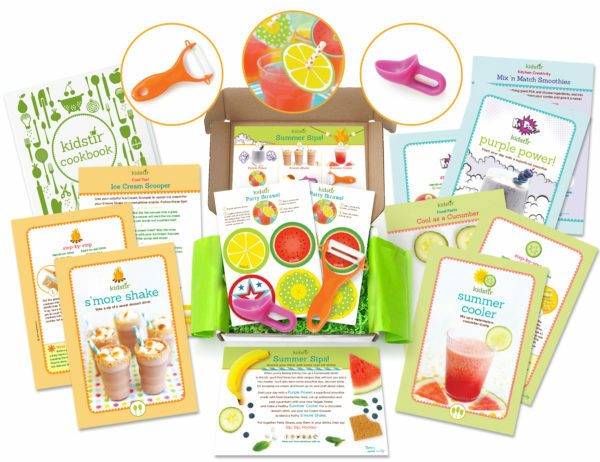 Check out what is coming in your July kit! Get ready for refreshing Summer Sips recipes that make hot days feel cool and make kids the refreshment team for a fireworks family gathering. Not a subscriber yet? Get on board quick and take 30% off the first kit of your new subscription! Use coupon code COOL30 and you’ll be mixing up some delish drinks soon! Hurry before the offer ends on July 15, 2016.